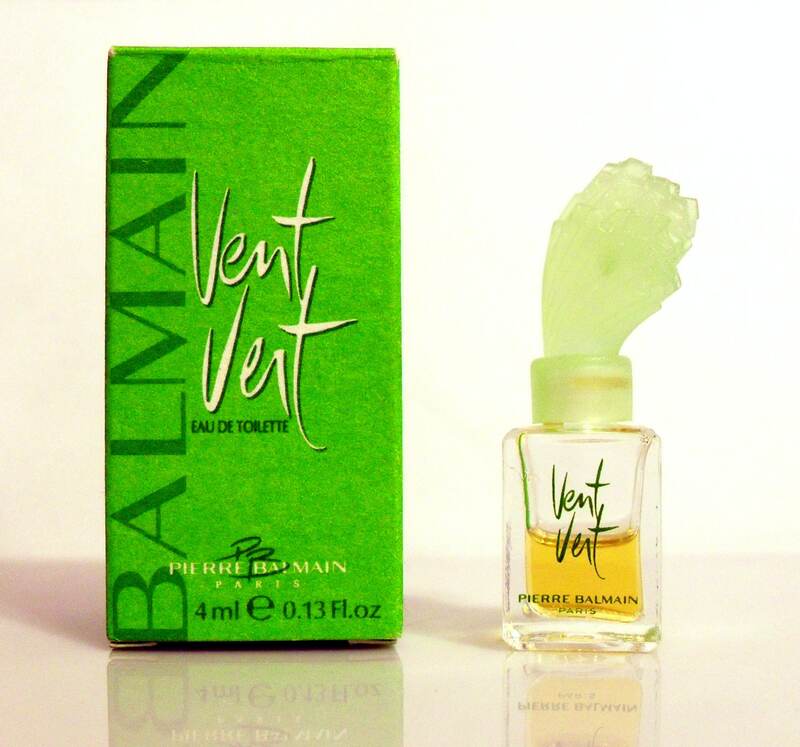 Vintage 1990s Vent Vert by Balmain 0.13 oz Eau de Toilette Splash Mini Miniature Perfume in box. Vent Vert was originally launched in 1947. But this mini is the 1991 reformulation of Vent Vert by Calice Becker created to downplay the galbanum and geranium in order to appeal to a wider market. 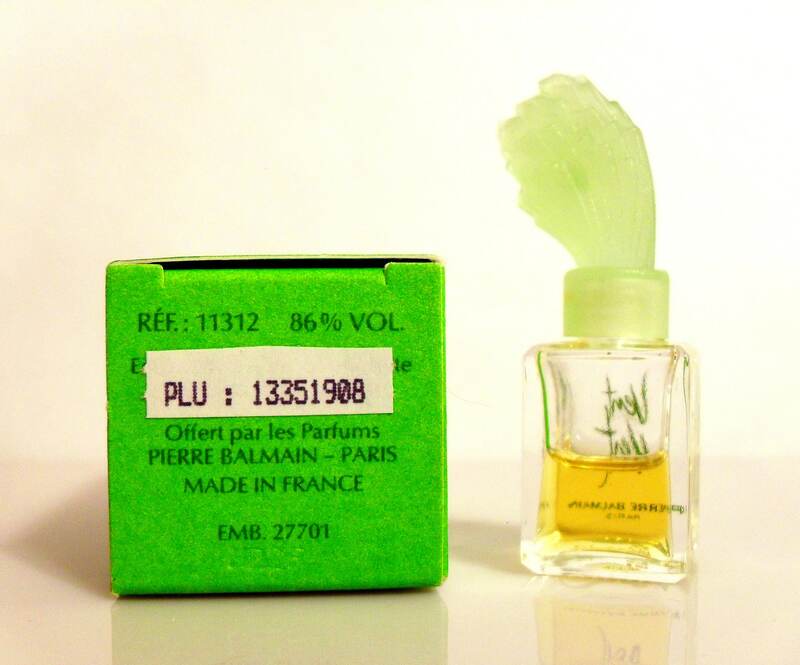 It is classified as a classic green fragrance for women. This version was presented in simple square clear bottle with a green top reminiscent of a clump of grass bent by the wind. This version was discontinued by 1999 and was reformulated by Nathalie Feisthauer and relaunched for a second time. 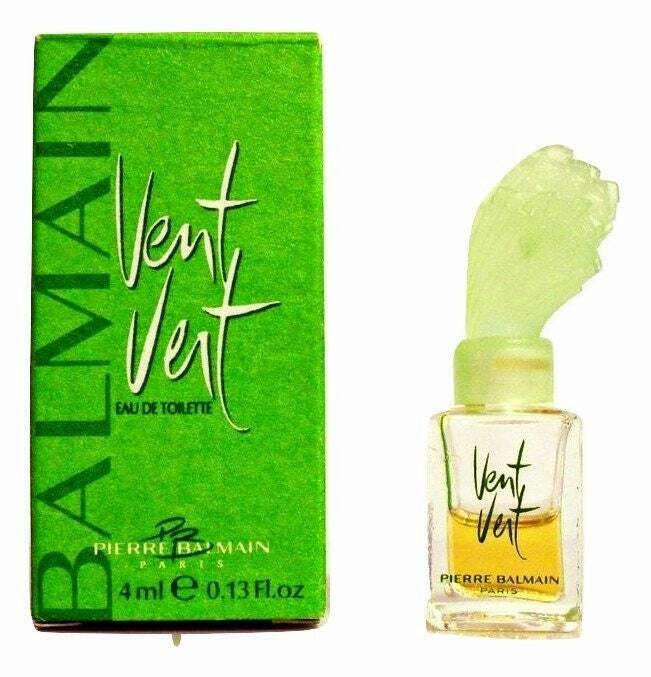 Unfortunately, to the chagrin of many of Vent Vert's devotees who trudged forth with the first reformulation, they hated this newer incarnation which proved to be the death knell of the old classic. 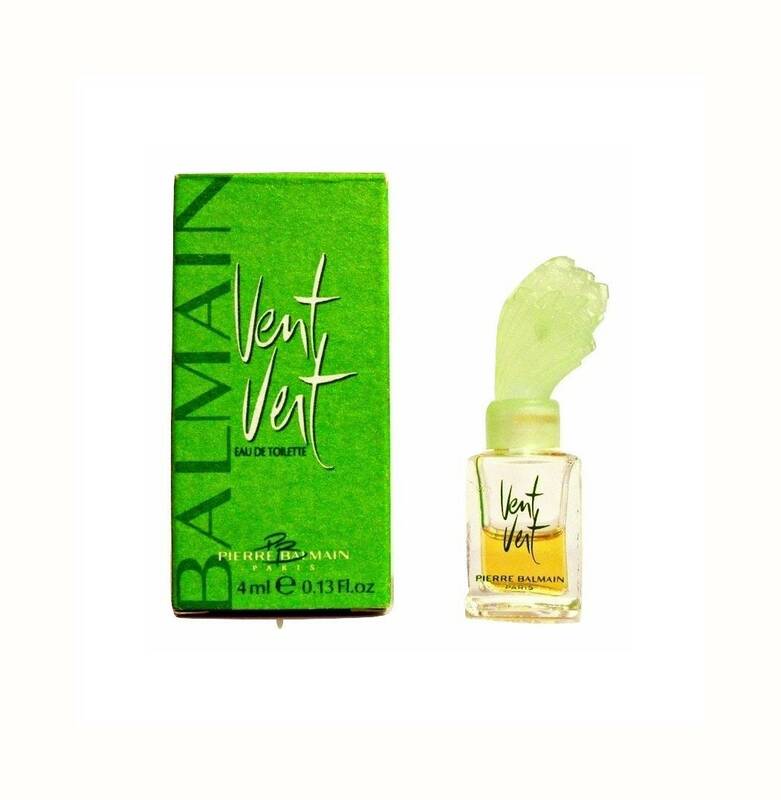 By 2010, Vent Vert was reformulated again and relaunched. Reading the various reviews online, it seems that this version is much more forgiving than the last and the general consensus is that while it is not the same as the original, it is better than the last.